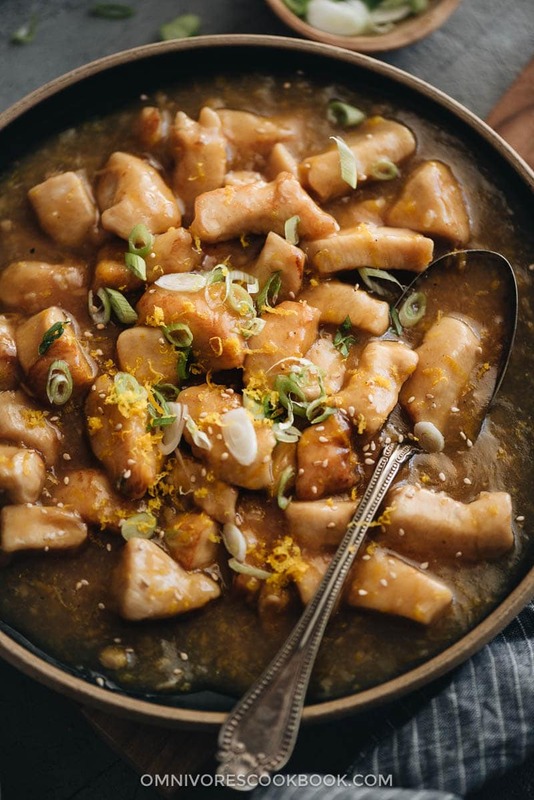 If you’re intimidated by Chinese cooking, you’re not alone! Even though I was born in and grew up in China, I couldn’t do a proper stir fry for years, and sometimes I still screw things up at home. Getting familiar with a new cuisine and learning to cook with a wok can be very challenging. That’s why I’ve been focusing on easier approaches when it comes to cooking Chinese takeout. I’ve developed many recipes that don’t use a wok, but still give you that restaurant-style taste. Examples include Cashew Chicken, Mongolian Beef, Crispy Sesame Chicken, and Beef Chow Fun. 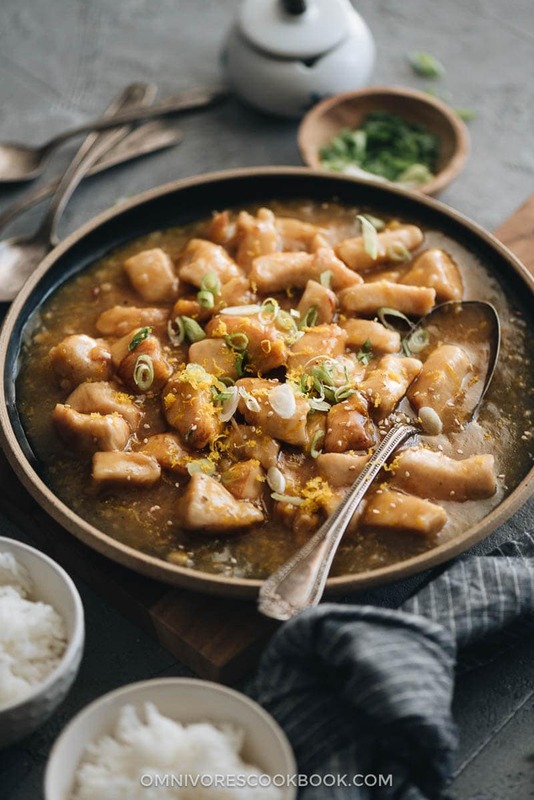 Today I want to share how to make orange chicken in your Instant Pot. There are several reasons why you’d want to use an Instant Pot to make this dish. 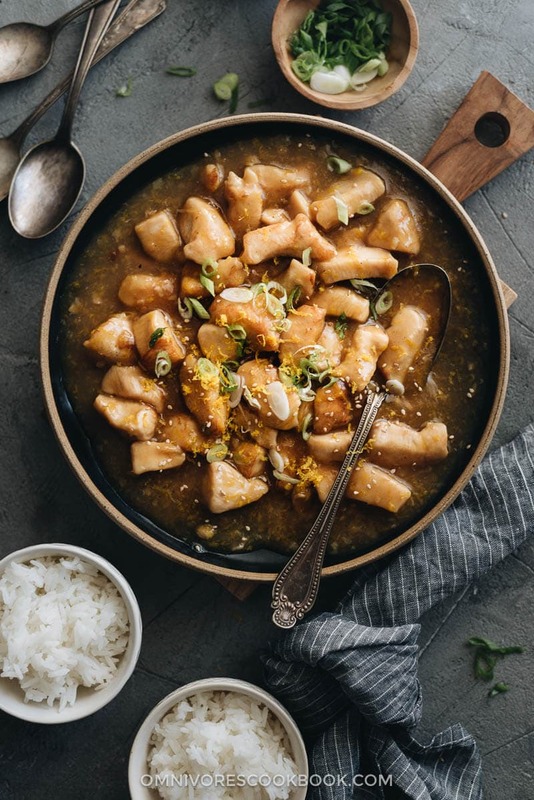 Why Instant Pot orange chicken? Chinese restaurants use a few cups oil to fry the chicken. I’ve developed a home cooked stovetop version that requires less oil, about 1/3 cup. But this recipe further reduces the oil to 2 tablespoons. Plus, while this recipe requires way less oil, the flavor remains great. You simply need to brown the chicken in the Instant pot, mix it with the sauce, then set the timer. The process is so much easier and you can leave most of the work to your Instant Pot. 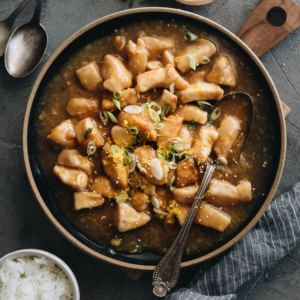 The secret to making the most fragrant sauce is to use plenty of fresh aromatics and fold some orange zest into the dish at the end. The ginger, garlic, and wine add tons of flavor to the sauce. Different from most recipes, I add the rice vinegar with the orange zest at the end of the cooking. Pressure cooking tends to weaken the tangy taste of vinegar. Adding it at the end of the cooking will make your sauce brighter and richer. Combine the chicken and all the marinade ingredients in a large bowl. Mix well. Let marinate for 5 to 10 minutes. Mix all the sauce ingredients in a small bowl. Add 1 tablespoon oil into the Instant Pot. Swirl to coat the bottom. Turn on the Saute function of the Instant Pot and wait until it shows as hot. Spread half of the chicken in a single layer. Let cook without touching, until the bottom turns golden, 1 to 2 minutes. (*Footnote 2) Turn to cook the other side for 1 minute. Transfer the chicken to a plate. Cook the rest of the chicken in the same way. Add the chicken back into the pot. Add the garlic and ginger. Stir and cook for 30 seconds. Pour in the sauce and use a wooden spatula to scrape the bottom, to release any stuck bits. Close and seal the lid. Use Manual mode on high pressure for 5 minutes. Use fast pressure release when done. Mix the cornstarch with the rice vinegar and whisk until the cornstarch dissolves completely. Pour into the Instant Pot. Add the orange zest, if using. Stir and cook until the sauce has thickened. Turn off the Instant Pot and immediately transfer everything to a serving plate. 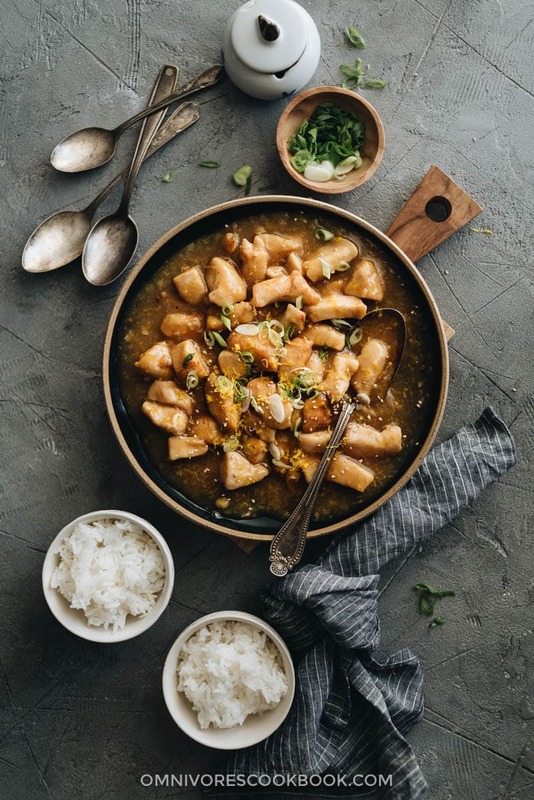 To make the dish gluten free, use tamari or coconut aminos to replace the soy sauce, and use dry sherry instead of Shaoxing wine. Orange zest will add a refreshing, strong citrus taste to the dish. If you are in a hurry, you can skip this ingredient and still get a very tasty result. When browning the chicken in your Instant Pot, not moving the chicken will make it much easier to release the chicken and prevent it from sticking to the bottom of the pot. If you want to add some veggies to your meal, dice some bell peppers and throw them in before adding the cornstarch. Cook them for 1 minute before adding the cornstarch slurry. can we use any other oil instead of peanut oil? Yes, vegetable oil or other types work too. Happy cooking!